Featured below are just a few of the countless magnificent ancient structures that Asia has to offer. Construction of the Potala Palace started in 1645. It stands at 13 stories tall. 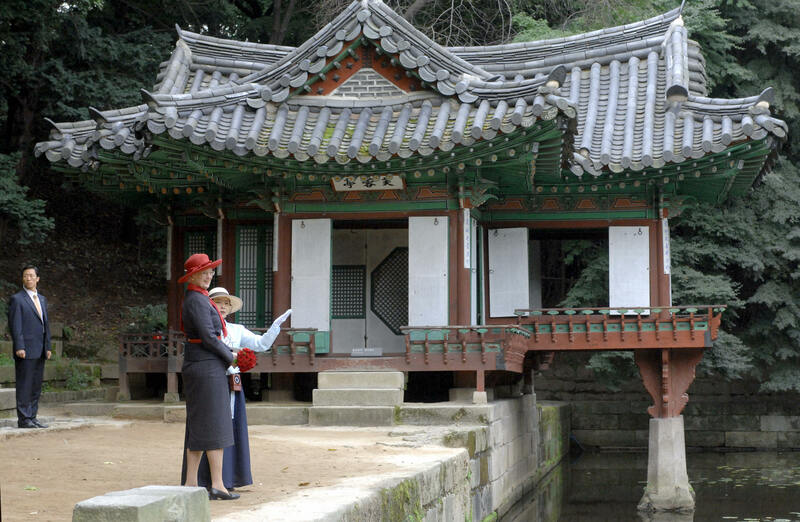 Inside there are 1,000 rooms, 10,000 shrines and approximately 200,000 statues. 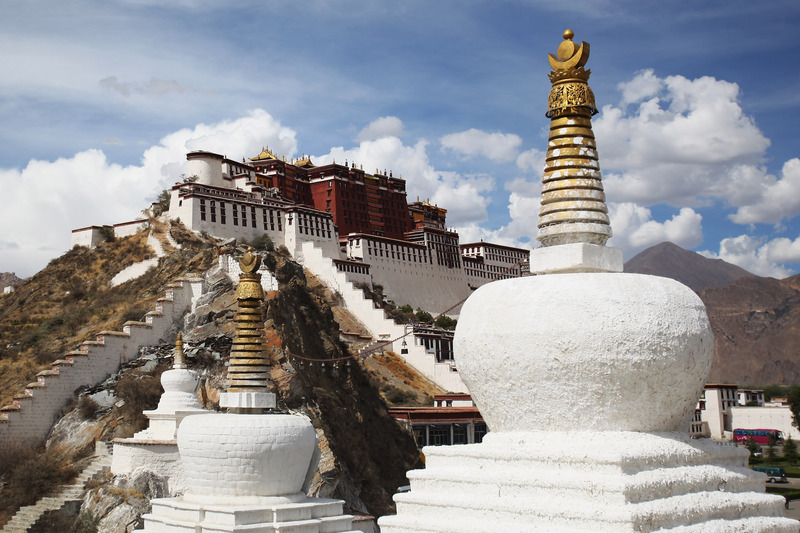 Historically, the Potala Palace was the chief residence of the Dalai Lama. Today the Potala Palace is a museum, containing tens of thousands of diverse cultural relics, the very best of Tibetan art, and magnificent wall paintings, which all provide material evidence of Tibetan history. At over 12,000 ft (3,700 meters) above sea level, the Potala Palace is the highest located palace in the world. 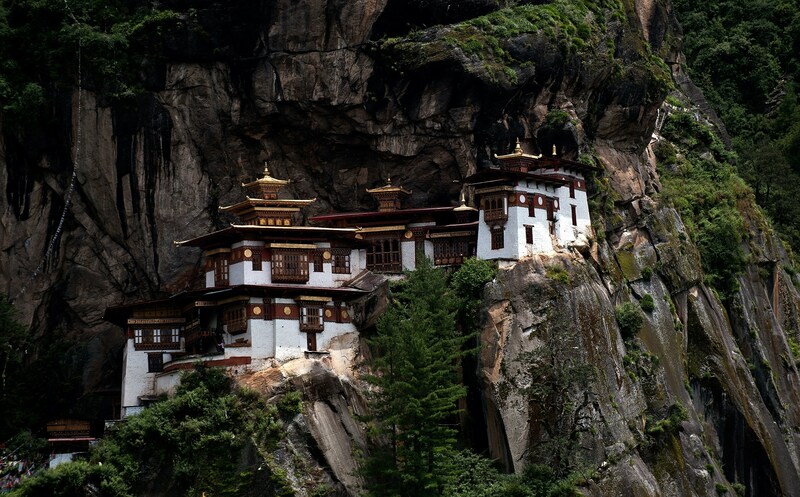 Also known as the Tiger’s Nest, the Taktsang Monastery was first built in 1692. This sacred Buddhist monastery is situated on a cliffside about 3,000 ft (900 meters) above the Paro valley. It has an ancient history of occupation by monks, as hermitages. If you decide to go, make sure to bring enough water for the trek. During the day it can get quite hot, so light hiking gear is advisable, however, make sure you have some sleeved clothing packed as people aren’t allowed to enter the monastery wearing clothes that reveal too much skin. The Shwezigon Pagoda was completed in 1102 AD. 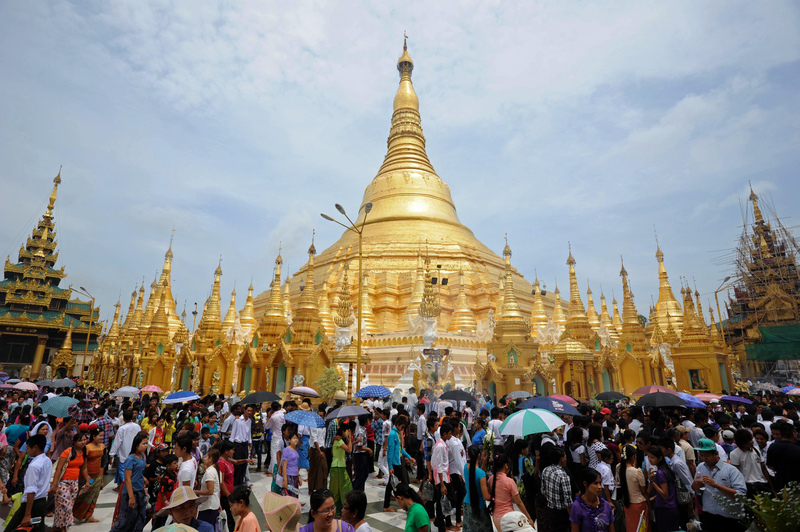 The pagoda is believed to enshrine a bone and tooth of Gautama Buddha. Legend has it that King Anawrahta requested the Buddha’s tooth relic from Sri Lanka. When the tooth arrived on shore, the king walked neck-deep into the river to receive it. The king decided to enshrine the relic in a pagoda for the benefit of everyone. He placed the relic on the back of his white elephant and said, “May my white elephant bow down at the spot where the tooth relic wishes to reside.” And hence, Shwezigon Pagoda is now situated at that very place where the white elephant bowed its head. Although not a single structure, Ayutthaya was a Siamese kingdom that existed from 1351 to 1767 and has a collection of magnificent ancient structures. Ayutthaya is the former capital of Thailand, then known as Siam. 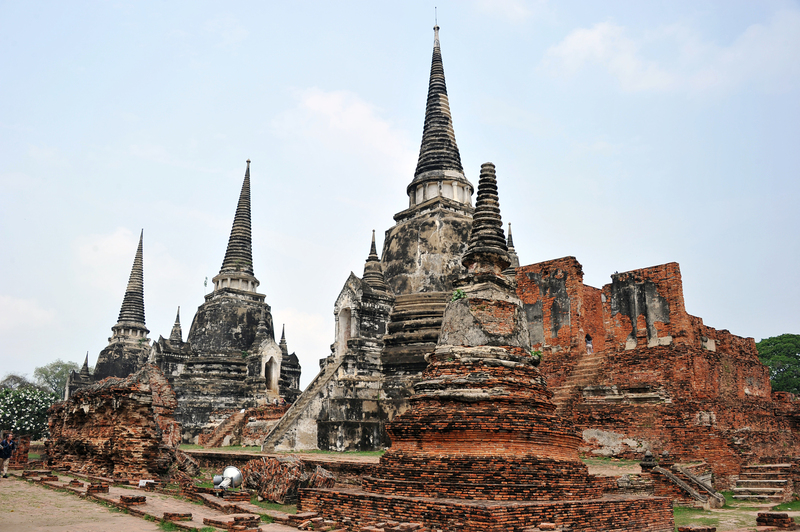 By the end of the 18th century, Ayutthaya was regarded as the strongest power in Southeast Asia. Located just an hour’s drive from Bangkok, it remains a very popular tourist destination to this day. The Temples of Angkor attract around 2 million visitors annually. It is said to be the world’s largest single religious monument stretching over more than 248 sq miles (400 sq km). The main temple, Angkor Wat, was built between 1113 and 1150 by King Suryavarman II and now appears on the Cambodian flag. Borobudur was built in the 9th century as a Buddhist Temple. It has been estimated that Borodubur took 75 years to be completed. The site is host to 504 Buddha statues. 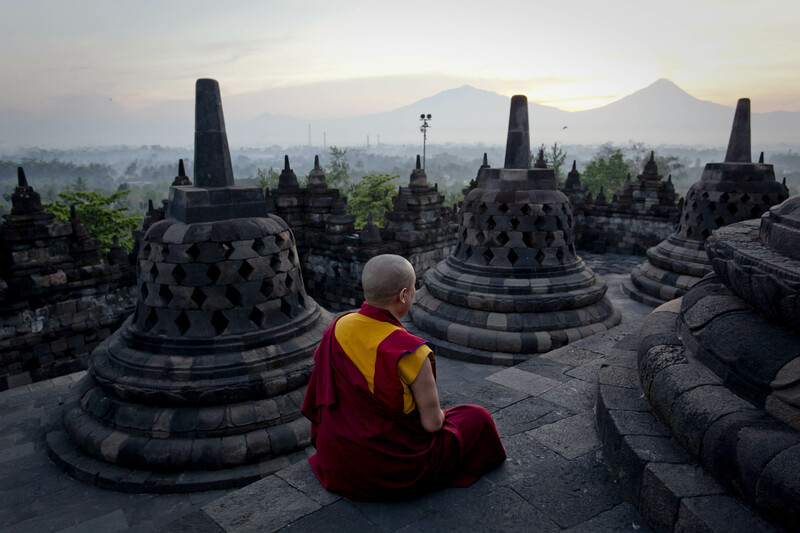 After being hidden under volcanic ash and jungle growth for centuries, Borobudur has gone through tremendous restorations and is now Indonesia’s most popular tourist destination and has even made it into the Guinness Book of World Records as the world’s largest Buddhist archaeological site. Built in 1333, Himeji Castle is the largest castle in Japan and is regarded as the finest example of Japanese castle architecture. 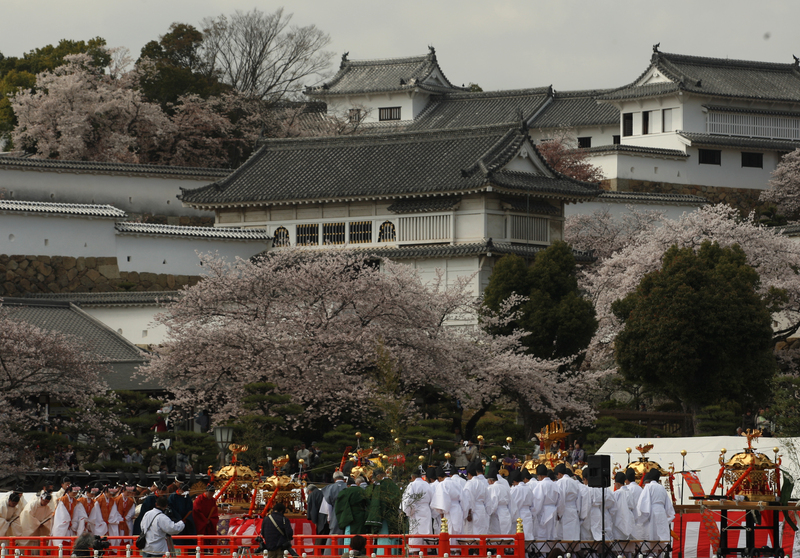 As such, it is the most visited castle in all of Japan. The castle has a network of 83 buildings. An interesting fact about Himeji castle is that it has never been victim of damage from either natural forces or man. Himeji castle offers a variety of defenses. Not only does it sit very high, there are three moats (the outside one is now buried), and a very confusing system of paths leading to the castle keep. Many paths lead to dead ends, thus confusing an approaching force. The design of which allows for intruders to be watched and fired upon during their lengthy approach. Himeji is 75 miles (120 km) southwest of Kyoto. The Taj Mahal, standing at over 171 metres (561 ft) high, is one of India’s most visited tourist destination. 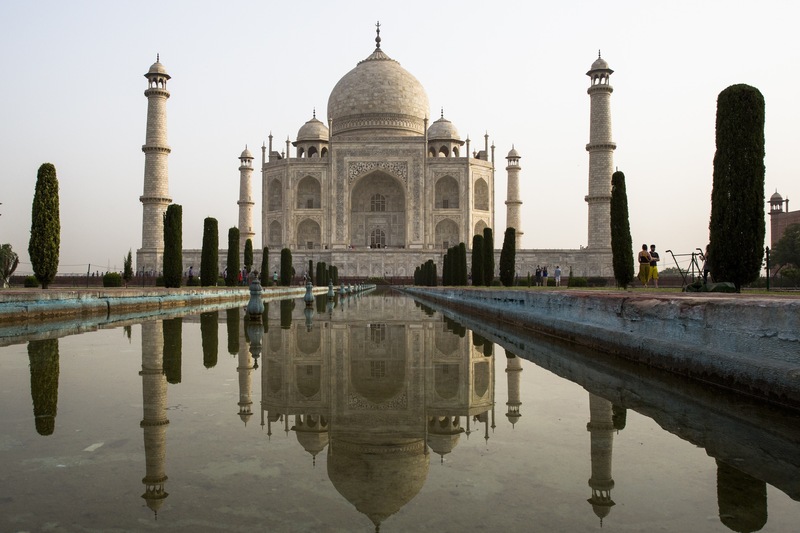 It was built by emperor Shah Jahan in memory of his third wife. According to legend, Shah Jahan had planned to build another Taj Mahal in black marble on the other side of the river, however, his plans were interrupted. Employing thousands of artisans and craftsman, the Taj Mahal was completed at around 1653 after about 21 years of construction. It’s said that it combines elements from Turkish, Ottoman, Persian and Indian architectural styles. One may also notice that it is perfectly symmetrical from all four sides. Located in the centre of Beijing, the Forbidden City was the imperial palace from the Ming Dynasty to the end of the Qing Dynasty. The Forbidden City was named such because it was forbidden for any commoner to enter. 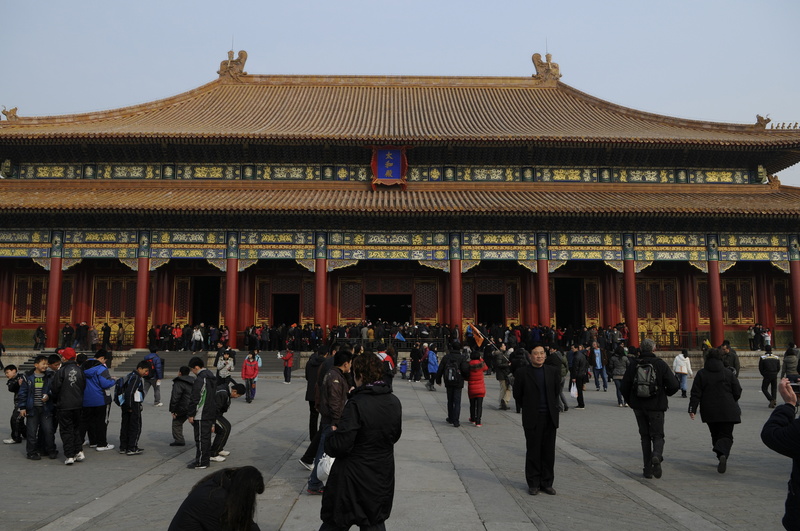 Built in 1406 to 1420, the Forbidden City consists of 980 buildings and covers 7,800,000 sq ft (720,000 sq meters). Two giant lion status guard the entrance to the inner palace. One has a silk ball under its paw which represents power, the other has a cub that represents life. You may notice that all the rooftops in the Forbidden City are finished with yellow glazed tiles. This color was chosen as yellow was the official color of the Chinese emperor.